Led by coach Clint Wells, the Boulder Track Club’s Development Team are athletes classified as having the potential and desire to reach our High Performance Team. Primarily, these athletes are post collegiate and 28 years or younger, but there can be exceptions made at the coaches discretion based on the athletes running background, development, potential and desire. All BTC Development athletes will train together and support each other in their pursuit of running and athletic excellence while representing the club, community and sponsors at local, state and national events. It is also expected that all BTC Development athletes support the club with their community and charity programs and accept the responsibility that comes with being a positive role model within the community. In order to be considered for the BTC Development Team, you must have obtained the time standards required and be accepted by the team coach. Once accepted, you must become a registered BTC member as well as a registered USATF member. Make sure you list the Boulder Track Club (Member No: 32-0348) as your registered USATF CO club. 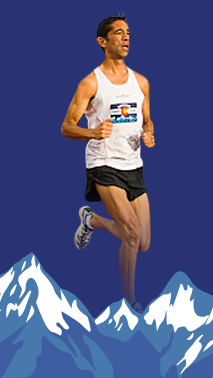 Should you require further information, please email clint@bouldertrackclub.com.